The Hamilton Health Sciences West End Clinic and Urgent Care Centre is a hub for various outpatient-based services. 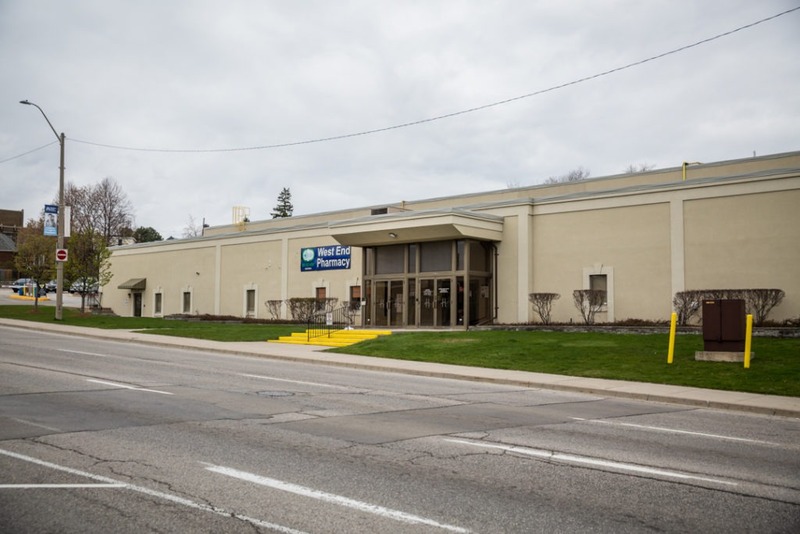 The Urgent Care Centre is one of two in Hamilton and offers walk-in medical care for patients with urgent health concerns that can’t wait for a family doctor. It’s staffed by emergency room doctors and provides care for a range of issues including minor broken bones, respiratory illnesses, and minor infections. The West End Clinic is home to Hamilton Health Sciences’ preoperative clinic, which provides services to patients scheduled for surgery at Hamilton Health Sciences. It’s also home to our special immunology clinic, which provides specialized care to children and adults who are living with HIV. Take the Queen Elizabeth Way (QEW) to Highway 403 West (to Hamilton). Exit Hwy 403 at Main Street West. At the top of the hill, turn right onto Main Street West. Continue along Main Street West for several blocks. 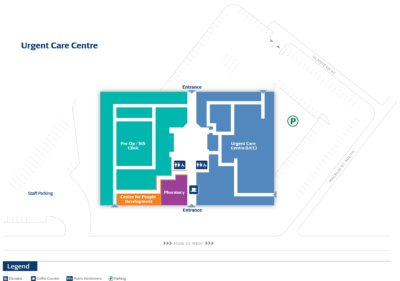 The West End Clinic/Urgent Care Centre will be on the left; turn left onto Macklin Street to access parking. Take Highway 403 East (to Hamilton). Exit Hwy 403 at Aberdeen Avenue. Turn left onto Longwood Avenue (first set of lights). Turn right onto Main Street West. Several Hamilton Street Railway (HSR) bus routes services this area, including the 1A – King, 5 – Delaware, and 51 – University which stop at the corner of King St and Macklin St (Westbound) and the corner of Main St and Macklin St (Eastbound).